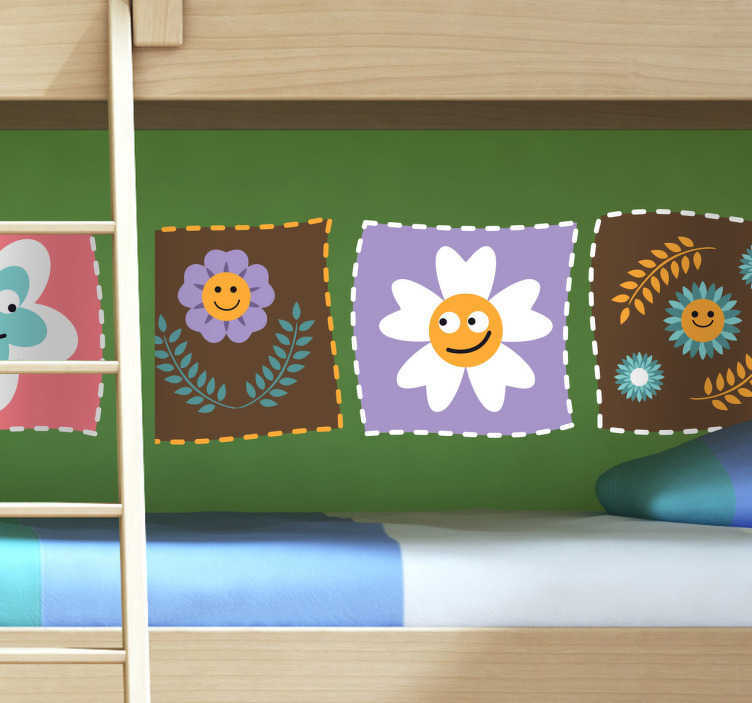 Kids Wall Stickers - Collection of square patch decals with smiley flower faces. Ideal for decorating areas for kids. Available in various sizes.